The Bureau of Information Technology is responsible for the administration of the City’s blend of mainframe, network and cloud-based computer systems. These systems are utilized by the General Government and the Departments of Administration, Community and Economic Development, Public Safety and Public Works. The bureau programs, controls, troubleshoots and monitors a wide array of mainframe-based systems used throughout the City’s operations. Examples of these systems include the computerized billing system for property real estate taxes, mercantile taxes and licenses; billings for disposal and refuse charges; human resource management; Treasury accounts receivable system, insurance claims management; field reports for all service calls for police; and Codes licenses, permits, inspections, and complaints. The bureau also provides technical support and maintenance for the City’s network of personal computers, laptops and mobile devices; and is responsible for the installation, maintenance, and troubleshooting of servers, routers, switches, and firewalls for the City’s Local Area Network (LAN) and Wide Area Network (WAN). Responsibilities extend to troubleshooting of computer software, hardware, peripherals, telecommunications systems and services, and related equipment. The bureau partners with various local, state and national organizations to extend and expand the technological capabilities of the City’s operations. Evaluating emerging technologies and vendor offerings assists with the process of modernizing and streamlining processes and systems deployed throughout the City. Daily responsibilities include monitoring, configuring, and troubleshooting server backups and restoring systems; monitoring virus activity and cyber threats through a central management console; implementing LAN and local printer services; moving, adding, deleting and upgrading software. How can I get a job with the Bureau of IT?  You can view employment opportunities at the City of Harrisburg’s Careers Web page, or you can contact HR at 717-255-3040. How do I become a vendor with the IT Department?